None of the world's major encrypted messaging apps, including Facebook's WhatsApp and Telegram - a favourite of President Emmanuel Macron - are based in France, raising the risk of data breaches at servers outside the country. "We need to find a way to have an encrypted messaging service that is not encrypted by the United States or Russia," the spokeswoman said. "You start thinking about the potential breaches that could happen, as we saw with Facebook, so we should take the lead." 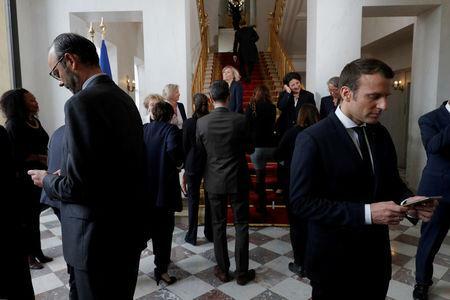 The French government's encrypted app has been developed on the basis of free-to-use code found on the Internet and could be eventually made available to all citizens, the spokeswoman said. She declined to give the names of either the codes or the messaging service. Macron's inner circle - now government advisers or ministers - have grown fond of the Telegram app, which they used to plot his rise to power and his presidential election campaign last year. But privacy concerns started growing earlier this year, and security tools from French security firm Thales installed on officials' work smartphones prevented the use of either WhatsApp or Telegram. Telegram was set up by a Russian entrepreneur who has come into conflict with the authorities. Russia's state telecommunications regulator said on Monday it had begun blocking access to Telegram after the company refused to comply with an order to give state security access to its users' secret messages.